* Read whole article before suing for libel. Some years ago an anecdote was related to me which really made the crazy economics of showbusiness come alive for me. It’s absurdity is quite beautiful and I thought I’d share it with readers of showbusinessinsights – and add research and detail. After the box office success of Men In Black, which took $589 million on a $90 million budget, the studio was unsurprisingly keen to make sequels. 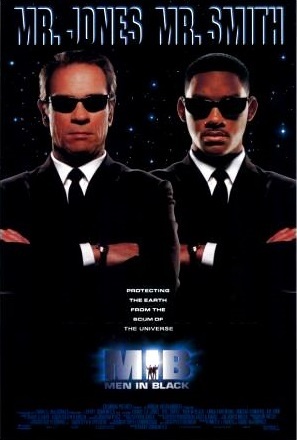 Studio execs were dispatched to negotiate contracts with the agents of the major players for MIB 2. While that movie was the focus of the effort, they also sought to negotiate terms for MIB 3 at the same time, with the aim of saving time as well as pre-negotiating lower terms rather than being held hostage for the third installment if the second was a big success. The negotiations for MIB 2 proceeded without undue complexity. However, the MIB 3 talks were not fully thought through. 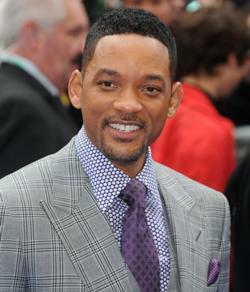 The key individuals were the director, Barry Sonnenfeld, and the two main stars, Will Smith and Tommy Lee Jones. Three different people negotiated with the agents of these three players. And they didn’t talk to each other. Equal billing and pay were key demands from the agents of the actors. Neither Smith nor Jones was willing to be considered in any way less important than the other. Equal above-the-title billing was non-negotiable. And Jones’s agent insisted that his client be paid the same as Smith. Sonnenfeld’s agent, meanwhile, was insisting that the success of the movie was in large part due to his directorial vision and that he would have to be compensated handsomely to participate. Specifcally, this meant equal pay with highest paid actor. All three contracts were prepared separately and executed. Jones’ contract stated that he had to be paid the same as Smith. Sonnenfeld’s contract ensured he was paid the same as the highest paid actor. This meant that all three had to paid the same (Jones could not be paid less than Smith and Sonnenfeld could not be paid less than the higher paid of Smith or Jones). Thus far, no problem. Smith, Jones and Sonnenfeld simply had to be paid the same amount. There was, however, a problematic clause in one contract. While Jones and Sonnenfeld were concerned with their remuneration relative to the others, Smith’s contract was concerned with the actual amount of pay. Smith’s agent had insisted on a share of the profits generated by the movie. Rather than working for a specific dollar amount – for example $20 million – some contracts for mega stars are based on a variable formula, dependent on the success of the movie. This can serve both parties well. It reduces the upfront production budget as the actor does not get paid a huge salary before the picture starts to earn. But the actor participates in the upside if the property exceeds expectations, which may make the actor work that little bit harder in the pre-opening publicity and marketing tours. Alec Guiness was one of the first actors to exploit this possibility for his role as Obi Wan Kenobi in Star Wars, for which he was paid 2% of the gross royalties received by George Lucas, who was to receive 20% of the box office. This arrangement made Guiness very well paid indeed. Smith had successfully negotiated a share of the upside for MIB 3. His contract gave him the right to receive a percentage of the net profits of the movie. His share? 35%. So Smith was to receive 35% of total net profits. Jones was to receive no less than Smith. And Sonnenfeld wanted to be paid the same as the highest paid actor. 3 x 35% = 105%. So the studio had negotiated three separate contracts which meant that the triumvirate would earn more than the total profits turned by the movie before a single dollar had been spent on anything else. There was simply no way the studio could make a cent with MIB 3. The sad thing is, that, having researched this story subsequently, there is simply no evidence that it is in any way true. It sounded both too plausible and too absurd at the same time to be made up. Sadly, however, I can find no shred of evidence that it was actually true. A conspiracy theorist might point to the ten year hiatus between installments 2 and 3: long enough to renegotiate the contracts… but would be clutching at straws. Even though the anecdote is almost certainly not true, there are many other equally absurd contracts which are absolutely true. Showbusinessinsights will highlight the choicest of these in future posts. 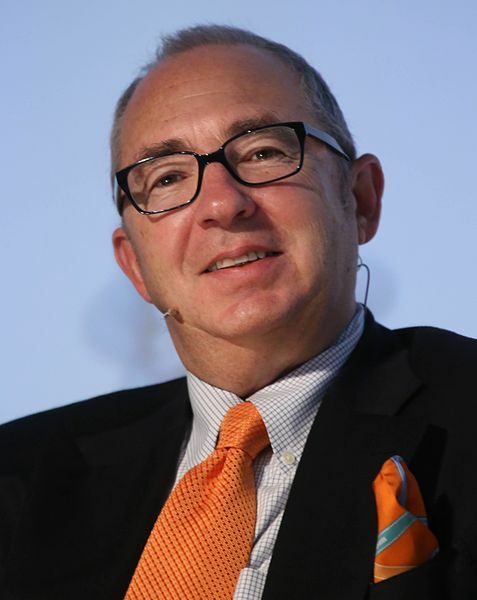 This entry was posted in cinema, Economics and tagged anecdotes, apocryphal, Barry Sonnenfeld, box office, cinema, contract, film, incompetent, insights, Men In Black, MIB, movie, negotiations, profit, salary, Tommy Lee Jones, too good to be true, Will Smith by showbusinessinsights. Bookmark the permalink.